Findings challenge a widespread assumption that wildlife management in Canada and the USA is science-based. 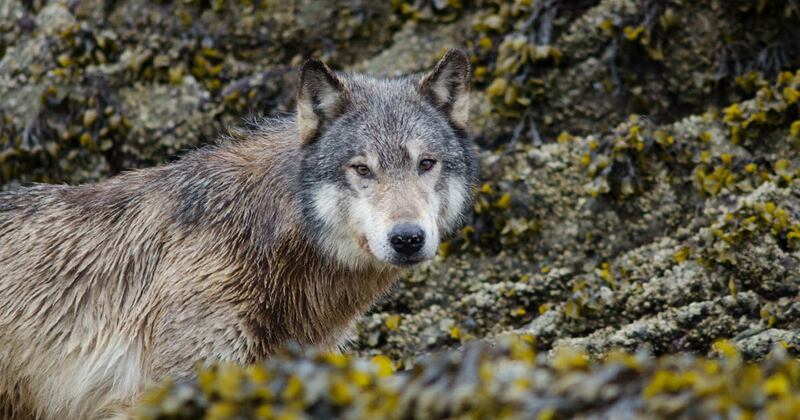 In a new study, a team of scientists from Raincoast Conservation Foundation, Simon Fraser University, University of Victoria, and the University of Wisconsin – Madison found key hallmarks of science often missing from management of hunted species across the continent. 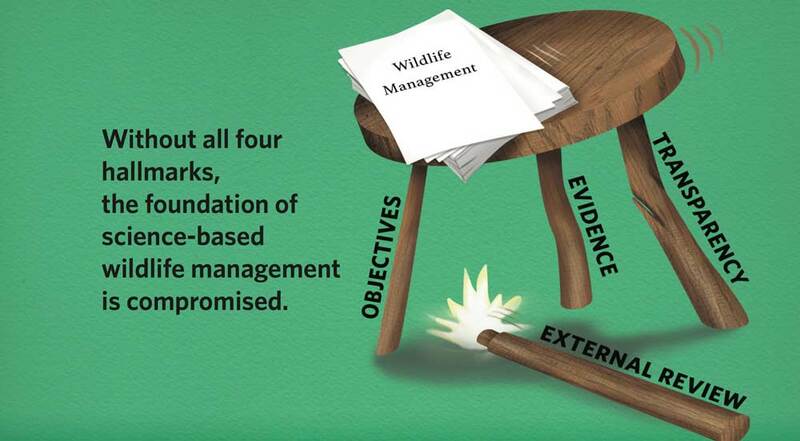 The study, “Hallmarks of science missing from North American wildlife management”, released today in the AAAS Open Access journal Science Advances , identified four key hallmarks expected of science-based management: clear objectives, use of evidence, transparency and external review. Combined, these hallmarks provide the checks and balances that give rigour to science-based approaches. Using this framework, we assessed all publicly-available documents describing 667 hunt management systems, covering 27 species across 62 US and Canadian states and provinces. Our findings raise doubts about whether North American wildlife management can fairly be described as science-based. Tweet This! Within these systems we searched for indicators of each hallmark. For example, as one measure of the transparency hallmark, we asked “Is the technique for setting hunting quotas explained”? After our initial assessments, we provided management agencies an opportunity to correct our work, and to identify documents potentially missed by the researchers. What we found surprised us. Most systems (60%) contained fewer than half of the indicator criteria assessed. Some criteria were especially rare. For example, only 9% of systems explained the technique for setting quotas (that is, explaining how they determined the number of animals to be hunted in a given year). Similarly, less than 10% of management systems indicated that they underwent any form of review (even internal reviews), with fewer than 6% subject to external review. Our findings raise doubts about the scientific basis of North American wildlife management. Notably, this insight comes at a time of heightened controversy in wildlife management, when contentious policy is often defended by agencies claiming adherence to science-based approaches. For example, agencies and hunters often justify management approaches by claiming that they follow the so-called “North American Model of Wildlife Conservation”, which has a central tenet that “Science is the proper tool to discharge policy”. When it comes to hunting policies, many systems are lacking the legs of the stool needed to support wildlife science. Illustration by Jen Burgess. We offer the hallmarks as a roadmap for science-based management moving forward: start with clear objectives, use evidence to inform decisions, be transparent with the public about all factors contributing to decisions, and subject plans and approaches to external review. Promising examples exist elsewhere for boosting transparency, subjecting management to external review, and offering a clearer distinction between scientific evidence and political considerations. For example, the Canadian Science Advisory Secretariat reviews Canadian fisheries management and provides independent advice to decision-makers, helping to separate the science from politics. Elsewhere, journal editorial boards have offered to independently review management of particularly controversial species, which might help to separate reality from rhetoric. “It is critical that wildlife management is transparent, has strong objectives, is informed by scientific evidence along with other social and economic considerations, and is subject to peer review.” – Jessica Walsh, postdoctoral fellow at Simon Fraser University Tweet This! Importantly, we’re not suggesting that science alone ought to dictate our approaches to wildlife management. As co-author John Reynolds from Simon Fraser University says, “We are not saying that wildlife hunting decisions should be based only on science, as there can be important social and economic considerations, but the extent to which these dimensions influence management decisions should be clearly articulated alongside claims of scientific rigour.” However, key to honest discussions about wildlife management and conservation is clarity about where the science begins and ends. Our approach provides a straightforward litmus test for science-based claims. Our study concludes by noting that the increased use of scientific inference and evidence, following the framework provided, could lead to better-informed decisions, leading to better management of natural resources, including North America’s wildlife. 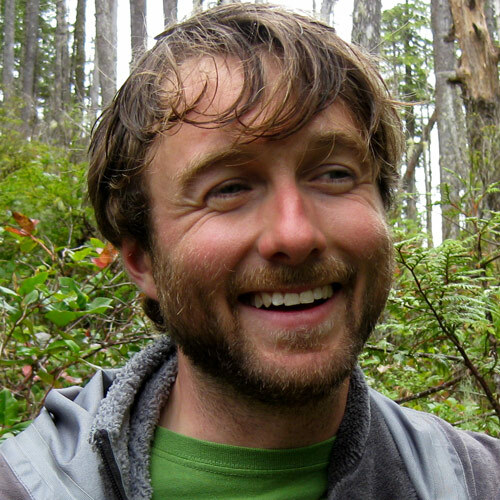 Kyle Artelle is a Raincoast Conservation Foundation Biologist and a postdoctoral fellow with the University of Victoria. His work is at the interface of science and policy, including ecology and conservation of black and grizzly bears in the territories of the Heiltsuk, Kitasoo/Xai’xais, Nuxalk, and Wuikinuxv First Nations, wildlife management in BC and beyond, and questions regarding the role of science and values in environmental interactions. He spends most of his time in Bella Bella, though he can also often be found in neighbouring territories and for stints visiting the big city of Victoria.